The Slap (US) is a miniseries based on the book by Christos Tsiolkas and the Australian television series ("The Slap") produced by Matchbox Pictures. 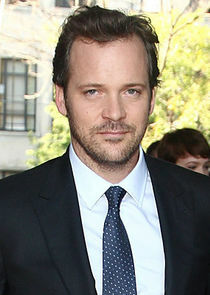 Meet Hector (Peter Sarsgaard, "An Education," "Blue Jasmine"), a public servant, husband, father and valued friend on the cusp of his 40th birthday. Meet Aisha (Thandie Newton, "Crash," "Beloved"), Hector's beautiful and intelligent wife who is planning his party filled with friends and his very boisterous Greek family. Sounds like the makings of a great day, right? Wrong. As Hector tries to navigate family politics, awkward friendships and the young woman he is dangerously captivated by, the built-up tension explodes when Hector's hotheaded cousin slaps another couple's misbehaving child. Everyone is understandably stunned, and the party abruptly ends with the child's parents vowing legal action. What the hosts and guests don't know, however, is that this moment will ignite a chain of events that will uncover long-buried secrets within this group of friends and family... and vigorously challenge the core values of everyone involved.